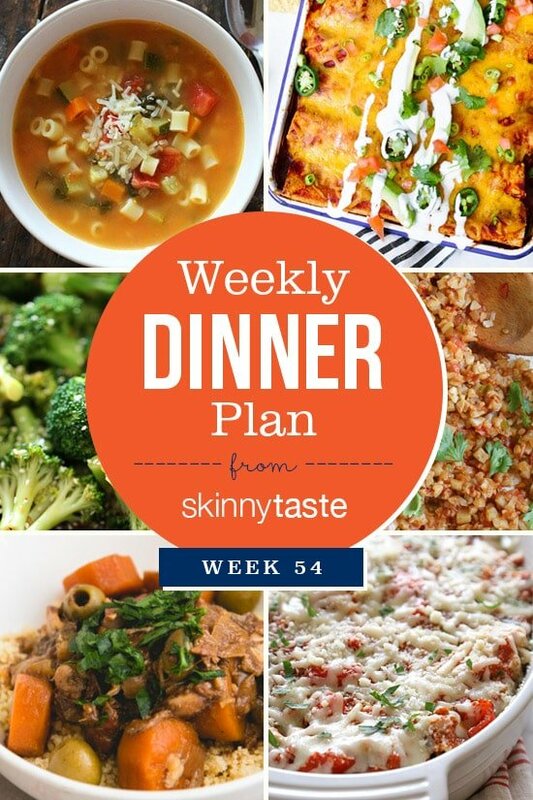 Skinnytaste Dinner Plan (Week 54). The final countdown is almost here! Are you ready? 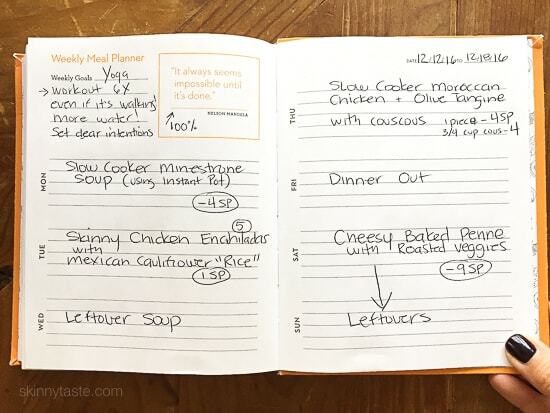 This entire week I’m giving away some fabulous gifts for a 7 Days of Giving giveaway PLUS the Skinnytaste Fast and Slow Cookbook with each prize. The winner will get TWO, one for you and one for your loved one! So far Day 1 we have Delallo Best of Italy Collection, it’s not too late to enter, Day 2 the awesome prize is a Nespresso Vertuoline, link here. Stay tuned all week on Facebook and Instagram to see the new prizes! How do I enter to win? I’ve been receiving your emails for a little while. I love trying the new recipes. Click the link above and fill out the form.